Are you one of those action addicts that hate the build up? Do you wish that every action movie started with a fight rather than building up to it? Would you much rather start your car and immediately hit 120 mph rather than have to use the gas pedal at all? Well, that last one is illegal in most places, but it is certainly understandable to want to skip the dull stuff and go straight for gold. 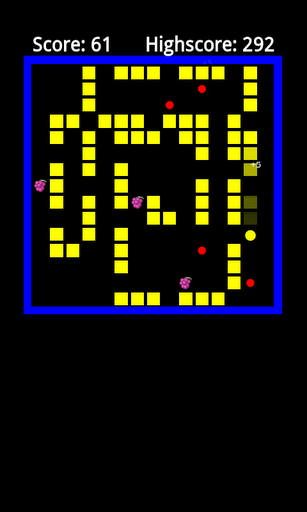 With Pacman Snake Unlimited Classic, the free game for Android from Tyrfing, you do just that. In fact, you don't even get the option to start slow. 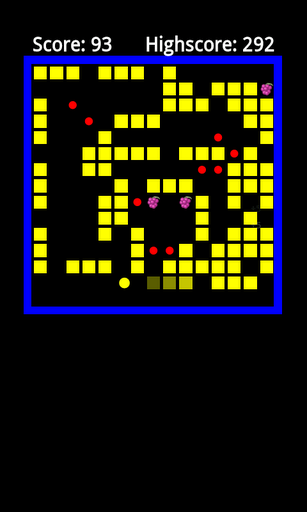 This is a classic snake game with a twist. You do not have to play your way through the boring early stages, as that part is gone. 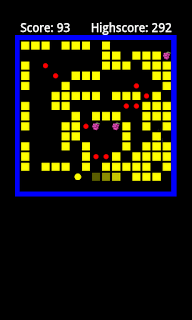 You start out in full swing with your life on the line, and for even more action the snake grows without being fed! If that isn't enough to keep your blood pumping, the spirit of competition that comes with sharing your score on the Swarm supported leaderboards should top it all off nicely. Skip the water and go straight to the juice. 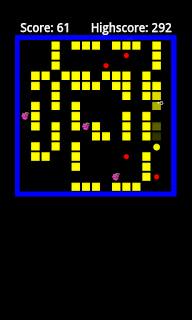 Get your adrenaline fix and get it fast when you play Pacman Snake Unlimited Classic.